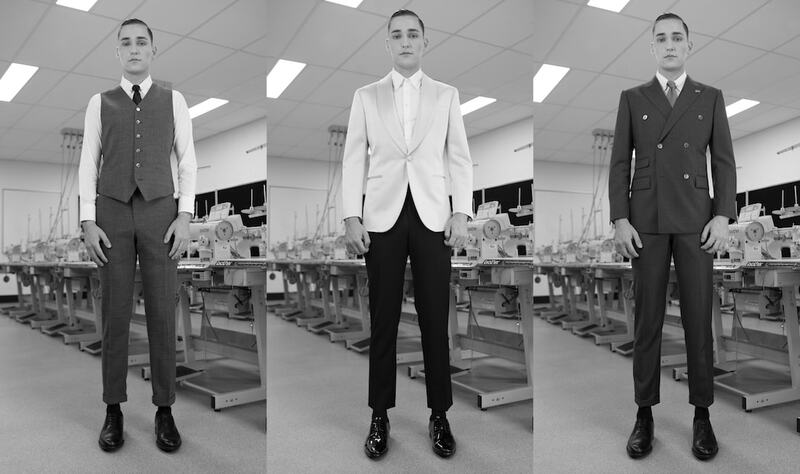 Looking to carve out a distinct place for his menswear vision, Patrick Mackenzie is a highly ambitious and talented QUT graduate who is poised to take the fashion industry on with his eponymous label. YOU’RE A PARTICULARLY TALENTED TAILOR – WHY ARE YOU DRAWN TO THIS TYPE OF CONSTRUCTION & HOW DID YOU REFINE YOUR SKILLS? I was always drawn to more structured garments. I love being able to mould clothes and create an illusion on a body. 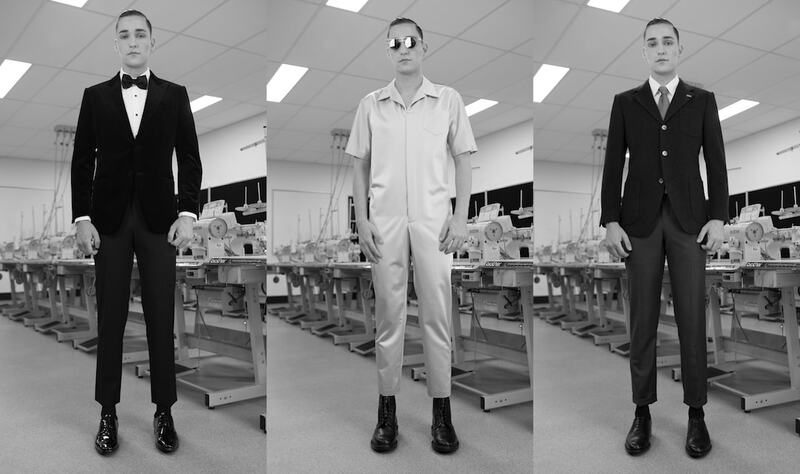 The amount of details and possibilities in a tailored garment interests me, the amount of work that goes into a suit for example all combine to create something uniquely your own. I love being able to create something unique for my clients and give it the Patrick Mackenzie signature. I was inspired by the artists of the war-time era and in particular the works of George Grosz and Paul Klee, both of whom were criticised and lambasted by Hitler in 1940s Germany, I wanted to pay homage to their work and indeed their sacrifice. The collection subtly reflects clothes from that era, three button suits, a jumpsuit which invokes overalls a wartime mechanic would have worn, and a bold print of their artistic style all in a thoroughly modern collection. As this was my graduate collection I wanted to reflect my university days, so the shoot was actually in my old university workroom. A row of sewing machines also reflects the heavy tailoring aspect of my work. The photoshoot was a nice capstone to my degree and a good introduction I thought to my new business. Really everybody; I love how suiting and tailoring takes people through their life’s milestones, graduation, a first job interview, a wedding, a retirement party. My target market is anyone who wants to feel special and wants to have a story to the clothes they wear, always reflecting the person wearing it with a particular Patrick Mackenzie aesthetic. My clothing has so many details that, real shell or horn buttons, hand stitched lapel buttonholes, beautifully light and luxurious fabric from the world’s best mills, my target market is people who take dressing seriously, and love to the feel elevated by the clothes they are wearing. As a designer I spend so much time watching what other people are wearing so my fashion choices are somewhat muted and classic. It wasn’t my first piece of fashion, but certainly my biggest love was a Prada shirt from their AW16 collection. It was a plain white, short sleeve button up shirt with a bold, blue Christophe Chemin artwork across the front. I think the relationship between the art world and the fashion world helps both of our industries. It helps expand our culture, tells our stories and elevates our thinking of fashion. In a simple and elegant way that shirt did just that. If I had to work for anyone other than myself I would say a brand like Thom Browne. I think the way he continually reinvents the modern ‘uniform’ is very inspiring to me. He promotes the very best of suiting traditions and techniques and that is something I love about this industry. He challenges all the time but is respectful, that is totally how I see my relationship with men’s fashion. For the past few months I have been slowly getting my made-to-measure suit business together and it is almost at the stage where I am ready to sign a lease. I am looking in Brisbane’s Queen Street Mall area and I hope to open a consulting studio there in the next three months. I will be making ready to wear collections with a more edgy and design focused look, the idea is that my made to measure business will fund an expanded ready to wear collection in the future. Giorgio Armani. He is an extremely intelligent business man with a keen understanding of how people work, what they do and how their clothes need to perform for them. He is a trailblazer in the industry and I look up to him for being able to stay true to his aesthetic and always promote the importance of design and innovation. The Armani brand is all about lifestyle, it brings luxury into people’s daily lives, garments made beautifully and luxuriously. FAVOURITE INSTAGRAM ACCOUNTS THAT WE SHOULD BE FOLLOWING? A huge congratulations to Patrick for creating such an incredible graduate collection! Share the love by following Patrick on Instagram at @patrickmackenzie and at his website patrickmackenzie.com.au. 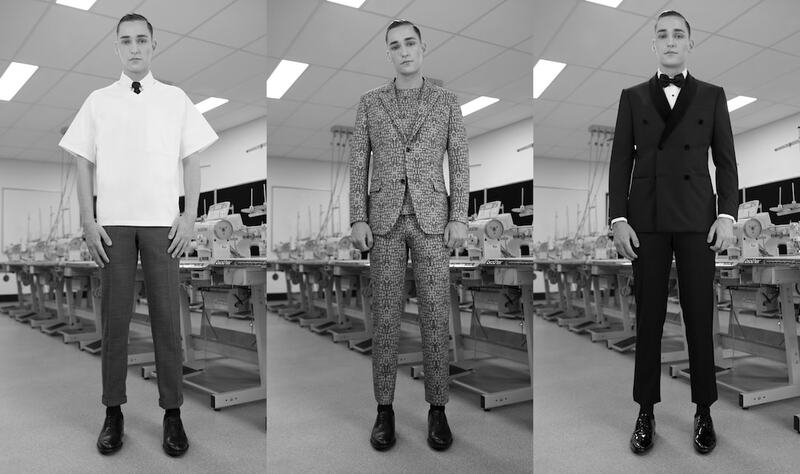 Click here to view all QUT graduates in this year’s Emerging Designer Showcase.